Late at night. When all the shops are closed (save Coles and Kmart). And the customers have all but disappeared. 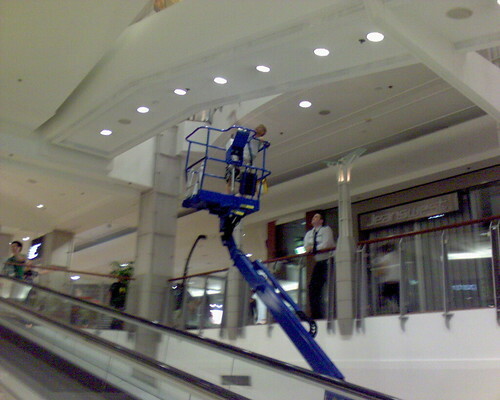 The painting gnomes roll out their hydraulic platforms, and touch up the ceiling. This entry was posted in Photos, Shopping and tagged Broadway, photo, shopping centre. Bookmark the permalink.